How can we recognize authentic worship, and how can we make sure that we as individuals are authentic in worshipping our Almighty God? * Is there a particular style or form of worship that is more authentic than any other? * Is there something that can be measured or seen in authentic worship? * What is the focus of authentic worship, and what should be our understanding of what the word ‘worship’ really means? Most importantly, HOW can our church experience the kind of dynamic worship that blows the doors off of our church buildings by spilling over and flooding into our daily lives and thereby impacting the community around us? Jesus said that true worshippers will worship God in Spirit and in truth and that God seeks such worshippers (John 4:23 & 24). What does it mean to worship God in Spirit and in truth? The answer to this very important question often eludes God’s people, and sometimes there is very little attention given to the subject. In over 35 years of active church life, since the time of our salvation, in the churches where Travis and I have served, we’ve heard very few sermons and Bible studies that specifically addressed the topic of worship in depth. This topic may not be neglected in every congregation, but years of ministry have shown us that God’s people often have a lack of knowledge about true worship. So many people seem to think that worship is a 25 minute time of singing just before the preaching begins in a congregational worship service. Others have actually been told that the purpose of congregational worship is to “prepare the hearts of the people to receive the message from God’s word” (preaching). However, in reality, worship is worship! Worship is our response to recognizing God’s ultimate worth. 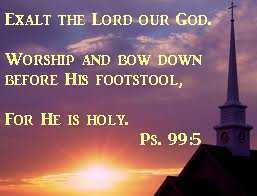 The goal of worship is to give God glory! We do not worship God in order to prepare for something else. The preaching of God’s word is worship, too, when it brings God glory! We worship through the proclamation of the word. Unfortunately, many people have very wrong ideas about what worship is and how the concept of worship should fit into the everyday life of every Christian. The primary focus for every Christian should be to relate to our holy God and worship Him, and yet we are woefully under-educated about how to do the very thing for which we were created and for which the church meets together every week. In a corporate worship service and in the way that we live our daily lives, our focus should be on worshipping God and giving Him glory. However, when we view God only through the lens of our own lives, what we want Him to do for us, and the blessings we seek, then our focus becomes all about us. We become more concerned about what we get out of worship and not concerned at all about what we give! The Bible tells us repeatedly to give God honor, glory, blessing, praise, worship, exaltation, joyful singing, thanksgiving, reverence, awe, and all that we are. This is the key: Worship (our response to our holy, almighty, and supreme God) is about giving! It is not about us, or about our preferences, or about what we get out of the experience (although true worship does give back abundant blessings when we give Him the glory due His name!). the Merciful Father who sacrificed His one and only Son out of love for us! Our response then becomes an effort to give all that we are to Him, seeking to bring Him glory in all of life. Okay, so we’re supposed to give. What happens when we come to a worship service without being ready to give? There are a couple of scenarios. A. Sometimes we may feel that we have nothing to give. God does not want our perfection…we have none. He does not want us to pretend to feel anything other than what we feel. If we are feeling lonely or sad, He wants us to confess that and give it to Him. If we are struggling with trusting Him, He wants us to admit the struggle and ask Him to give us a heart of praise in the midst of it. Whatever our burden may be, he wants us to lay it down and to exchange it for the garment of praise. When we realize our need to be clothed with praise, intentionally seeking to give God glory in spite of circumstances, He can work in our hearts and lives in spite of any areas where we fall short of His will for us. He meets us right where we are and continues to give the gifts of His presence, comfort, peace, assurance, gifts of the Spirit, and even quickens (wakes up and brings to life) His Spirit within us, enabling us to give and to worship. Imagine what could happen when a whole congregations chooses the mindset of focusing on our Great God rather than on our problems, our faults, or the faults of others! Wow! That would be amazing! B. In contrast to this scenario, consider what happens when we sit down in the worship center and are not even aware that we could be bringing to God the offerings of praise, worship, our hearts and lives, exaltation, thanksgiving, and more through everything that takes place during the worship service (not just the singing!) ? 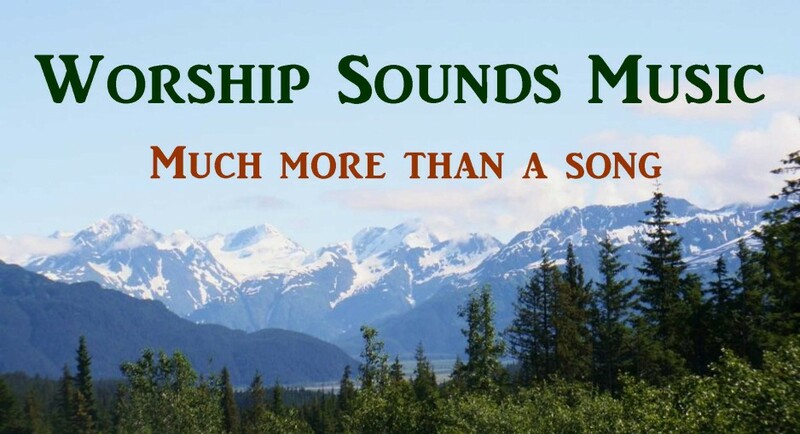 If we are not only unaware of our need to give Him praise but also unwilling to view the worship experience as one of giving, our focus is on self and ‘the Lord as He relates to me.’ Unfortunately, the end result of this approach is lifeless worship, selfish attitudes, and division within the fellowship. If someone were to ask what we were doing, our response might be that we are giving God praise. But unless we are truly praising God with all of our heart, soul, mind and strength and focusing on Him alone as though He were right there in the room with us (He is! ), our words are nothing more that lip service. True worship unites our hearts, because we all share a common focus…on Him! Matthew 18:20 tells us that Jesus will be in our midst when we gather in His name! Only as we lay aside every earthly attitude that would hinder true worship and put all of our focus on Him can we say that we are gathered in His name. Without the presence of God, there is no power in worship. The power comes from Him, not from us or from any specific forms of worship. Whatever form our corporate worship service takes, if the people of God are not focused on bringing Him glory, then it is not really worship. If I were a cartoonist, I would illustrate this post with some very meaningful cartoons. These cartoons would depict how a fundamental misunderstanding of worship has resulted in a self-focus that is very harmful to the fellowship of the church. The idea that the form or worship is the most important thing and the resulting attitude and fellowship problems can be well illustrated by several imaginary situations. 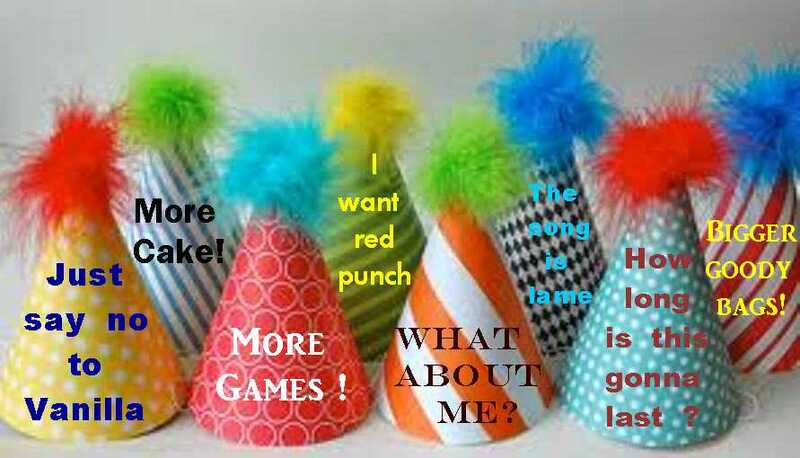 The first cartoon would picture a child’s birthday party where all of the guests have come wearing party hats with various slogans. One hat pictures a chocolate ice cream cone with the slogan, “Just Say NO to Vanilla!” Another hat says, “Bigger goody bags!” Still another says, “More cake!” You get the picture. Unfortunately, the party guests would seem to have forgotten that the party is not about them and their preferences. The purpose of the party is to celebrate and honor the birthday boy (or girl). From experience as a party guest, I can testify that when one attends the party with the attitude that the party is for the honoree and that everyone wishes to contribute to the celebration of said person’s life, a guest can still have a great time and also the wonderful feeling of knowing that you helped someone you love have a really special moment in time. There is joy in the giving because of love! Remember that God so loved that He gave! Would we be worrying about our preferences if we could see Him? I hope and pray that these last 2 cartoon depictions from my head don’t become reality! We must begin to teach and preach and proclaim that true worship is about giving! We’ll continue right down the slippery slope of demanding our own way and failing to extend any grace to other believers if we don’t begin to shout this message from the rooftops! It’s not about me! It’s not about you! It’s not about one age group or another! 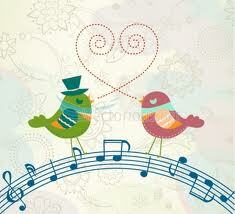 It’s not about a preferred musical style or your own particular list of favorite songs. It’s not about formality or informality. It’s not the style or cost of our clothing. Worship is about Him! It’s about giving God glory in every area of life, and corporately giving Him glory, honor, blessing, exaltation, thanksgiving, praise, and our whole hearts when we meet together to worship! That, dear reader, is true worship! Please, feel free to share this blog post with everyone you can think of! God help us to worship Him in Spirit and in truth! This post was written by Cynthia A. Boyd, with full responsibility and no apologies for its content. Lord, please use the foolishness of bold words to draw hearts to yourself! 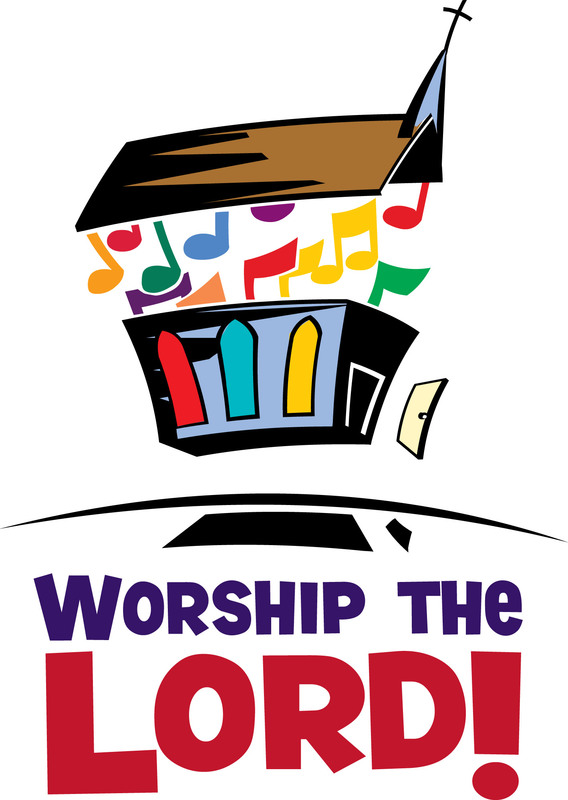 7. https://worshipsounds.wordpress.com/2012/03/22/worship-its-all-about-giving-2/ Our best post on what worship really is, with every point sharing solid scriptural truth. Here’s a link to a great article on the subject of worship and preference and what the REAL worship war is all about, written by Stephen Miller and published by the online mag Relevant Magazine.